Puma has been accused by social media users of glamorising drug dealing following its House of Hustle event on 5 April. The event welcomed 220 consumers who signed up via a bespoke website to gain access to the Soho event which showcased "hustlers" from various creative industries from photography, custom jewellery and tattoo artists alongside various DJ sets. Online users have accused the brand of glamorising crime at a time of increased violence in the capital by using gimmicks associated with drug deals, such as giving out fake ‘trap phones’ to promote the event. Social worker Amber Gilbert posted an open letter to the brand on Instagram describing the event branding and content as promoting and trivialising "the horrendous lived experiences of many of the young people you shamelessly attempted to imitate". "Although your event has been and gone, as one of the world’s largest sports brands you have failed to honour your corporate social responsibility and must seek to rectify this. We can only hope that rather than capitalising on lifestyles that are born out of poverty, your future ‘creatives’ will come up with a less exploitative way to sell trainers," Gilbert wrote. The event was part of the brand’s #RuntheStreets global campaign and activated by agency Urban Nerds. Puma declined to comment on the criticism and the sportswear brand's post-event press release described House of Hustle as "designed to specifically celebrate examples of creative entrepreneurial pathways that are being forged from within the often testing social and cultural environments that are a reality for an increasing number of young urban dwellers". 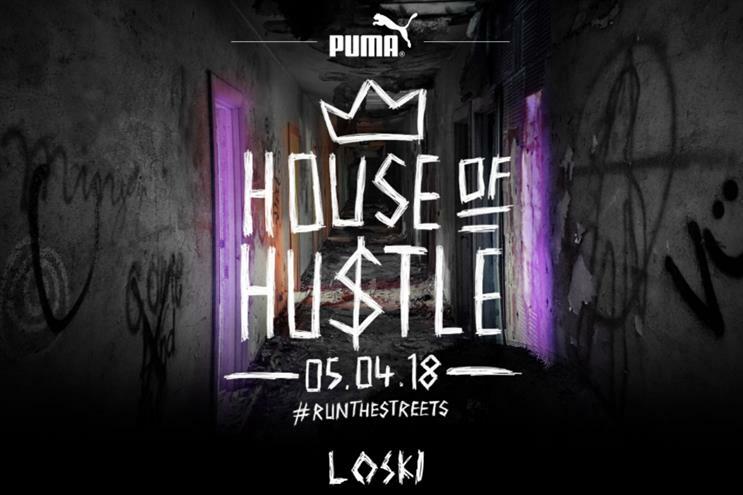 "Following the success of House of Hustle Puma will continue to celebrate the efforts of the urban grassroots talents who inspire hard to reach youth audience to channel their passions, hustle hard and #RunTheStreets to progress," the release added.